Coffs Harbour- As it is also a round of the WRC with amazing roads. Blackwood ridge, Eureka rally. Fast and flowing stage, awesome fun. 2003 Premier State Rally, when they had a stage at Eastern Creek. I was five or six at the time. My very first rally where I had Harry Co-driving. 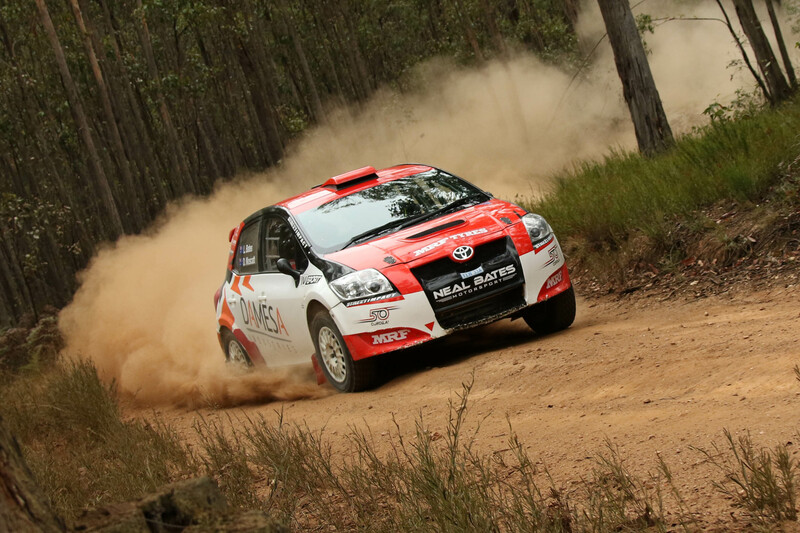 Finishing fourth outright in a very competitive field at the Eureka Rally 2018. My very first test in the S2000 Corolla. Very cool car. Dad (Neil Bates), he was and still is so successful in the Motorsport industry all round. ‘It only takes one corner to get it wrong’ – Neil Bates. Family and friends or Margot Robbie. I spent all my time playing soccer until I started rallying.